Christian Naturist Village • View topic - 1st Annual Naturist Ozark Mountain Meetup. Re: 1st Annual Naturist Ozark Mountain Meetup. MoNatureMan wrote: S.......I guess it is about time to move to a new strip for the plan of this years meetup. Yayyyy! Lets here it for the 2nd Annual ............... Bigger and Better this year we hope. 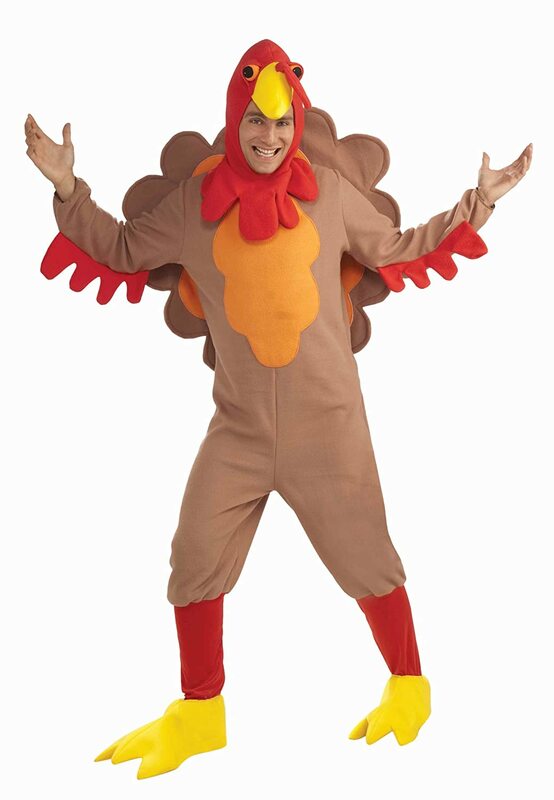 I am thinking about buying this costume to wear if April proves chilly. Watch out for the chicken hawk Or eagle that are around. And make sure you are not wearing it around November. natman wrote: And make sure you are not wearing it around November. Turkey hunting season is in March. Most folks find their November turkeys in the supermarket. And all her late husbands were named Tom! And all of her husbands had a beard and were bird brained. MoNatureMan wrote: And all of her husbands had a beard and were bird brained. 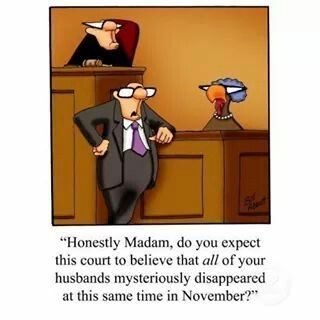 There are myths that persist that turkeys are quite stupid. These are debunked, along with the myths that teachers in churches persist in teaching that sheep are stupid too. With such thinking people can justify to themselves what they do with such animals, though that is not a logical basis. Rather use of them for food isn't needed, and it is not of the perfect design for us, when we can eat in a much healthier way. Wild turkey are very smart. However from what I have heard, the domestic (white feathered) turkey is so dumb that, 'when it rains, it looks up to see where the water is coming from and will drown itself'. Don't know if that is true, but that is really dumb. MoNatureMan wrote: Wild turkey are very smart. However from what I have heard, the domestic (white feathered) turkey is so dumb that, 'when it rains, it looks up to see where the water is coming from and will drown itself'. Don't know if that is true, but that is really dumb. Let's just say I'm not aware of any documented cases and tend to think this a literal urban legend. I only know [if the story I heard be true] that Ben Franklin thought the turkey much better suited to be our national bird than the eagle. Petros wrote: I only know [if the story I heard be true] that Ben Franklin thought the turkey much better suited to be our national bird than the eagle. "For my own part I wish the Bald Eagle had not been chosen the Representative of our Country. He is a Bird of bad moral Character. he watches the Labour of the Fishing Hawk; and when that diligent Bird has at length taken a Fish, and is bearing it to his Nest for the Support of his Mate and young Ones, the Bald Eagle pursues him and takes it from him. "With all this Injustice, he is never in good Case but like those among Men who live by Sharping & Robbing he is generally poor and often very lousy. "I am on this account not displeased that the Figure is not known as a Bald Eagle, but looks more like a Turkey. He is besides, though a little vain & silly, a Bird of Courage, and would not hesitate to attack a Grenadier of the British Guards who should presume to invade his Farm Yard with a red Coat on." It is a good thing that you were not here Tueday with that outfit shown earlier. I was over near the pond and all a sudden a large bird of prey swooped down from behind me. It then flew about 3 feet off ground in front of me. About 50 feet out it flew almost straight up into a tree and sat there and watch me for awhile. From size probable a large hawk or young eagle. Being that friendly to people makes me think hawk. I've heard stories all my life about the Thunderbird. There may be more to it than mere legend. jochanaan wrote: Let's just say I'm not aware of any documented cases and tend to think this a literal urban legend. Indeed, it is exactly that, which you are among many who have heard, that is debunked. One site showing it is http://www.snopes.com/critters/wild/turkey.asp . So why do turkeys sometimes stare skyward? Tom Savage, a professor of animal science at Oregon State University, says that the root of this behavior is not stupidity, but genes. In the early 1990s, he discovered an inherited condition among turkeys, called tetanic torticollar spasms. This condition can cause turkeys to exhibit abnormal behaviors, such as looking at the sky for 30 seconds or more at a time. Domestic turkeys can't fly; they lose their aerodynamic properties because of how they are bred for heavy meat production, although they will sometimes try to hop around. Those kept with the farming used for it are indeed having heavy meat production that they pursue making the most of, and it is with great abuse with overfeeding them with health problems to them from that, it should not need to be pointed out that their lives in miserable conditions include them being slaughtered while yet very young.